STEADY FOOTSTEPS, INC. was founded by an American couple: Virginia Lockett, a physical therapist with 40 years of experience, and her husband David, who is an artist. 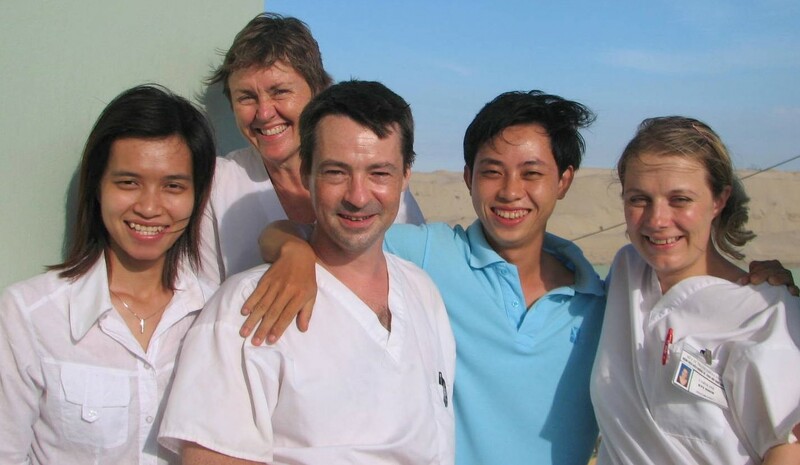 David and Virginia first came to Vietnam in 1995 to adopt two children. They were saddened, at that time, by the apparently hopeless situation of disabled people in Vietnam. By the time the Locketts returned to Vietnam in 2005 for a short-term volunteer project, improvements in Vietnamese medical care and economy had made attention to the plight of the disabled more feasible. And yet many of the foreign-run assistance projects that David and Virginia observed seemed to be ineffective--due, in large measure, to minimal and hurried oversight by absentee program directors. That 2005 trip convinced David and Virginia that the efforts of two middle-aged, middle-class Americans, dedicated to preventing head injuries and to improving life for disabled people in Vietnam, could be both effective and appreciated. 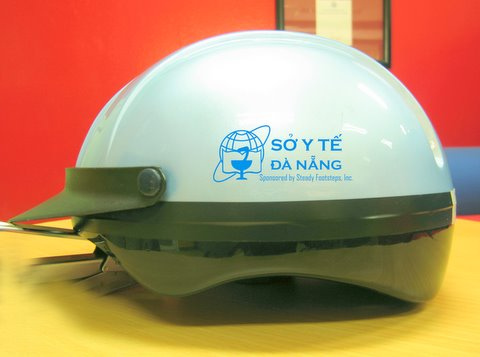 They quit their jobs, sold their home, founded STEADY FOOTSTEPS, and moved to Vietnam. They have yet to regret their decision. Steady Footsteps is a small organization. 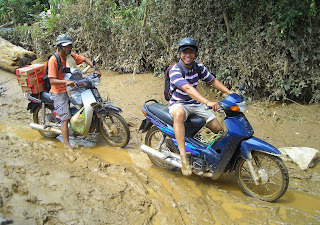 Support for our activities comes from little groups and individuals like you. Personal connections mean a lot. Steady Footsteps has garnered support from Quaker Meetings, therapists and individuals in America, Australia, Germany, Great Britain and New Zealand. But, up until now, the bulk of Steady Footsteps’ funding has come from the sale of the Lockett’s family home in America. Additional contributions would enable us to hire additional translators in order to provide more opportunities for volunteer therapists to work with us. It would also allow us to offer more assistance to disabled people in Vietnam. If you feel led to contribute to our work, we hope that you will share what you can with us. Please share, also, our story—or at least a link to our website—with others who might have an interest in helping the disabled people of Vietnam. First and foremost, our funds pay living wages to the people who translate for our foreign volunteer rehabilitation specialists. There is absolutely no advantage to having dedicated professional therapists volunteer their time and expertise in an effort to improve the state of rehabilitation in Vietnam if no one here can understand what they’re talking about. Secondly, Steady Footsteps provides equipment as needed where we work, as well as for disabled individuals. For example, Steady Footsteps provided exercise mat tables, rolling over-the-bed type tables and a sewing machine for the Da Nang Rehabilitation-Sanatorium Hospital where our volunteers worked for three years. We brought a big posture mirror and toys to a coffee shop in an out-lying province where we work with a group of disabled kids and their parents. We’ve also provided leg braces, appropriate footwear, walkers, canes, and pump-action carts to various individuals, as well as four false teeth for a sixteen year old girl who had lost hers in the same accident that rendered her left arm and leg paralyzed. Finally, because we’re here on the ground and we’ve got access to funds and the authority to use them, we’re able to do things that other, more distantly managed organizations cannot. 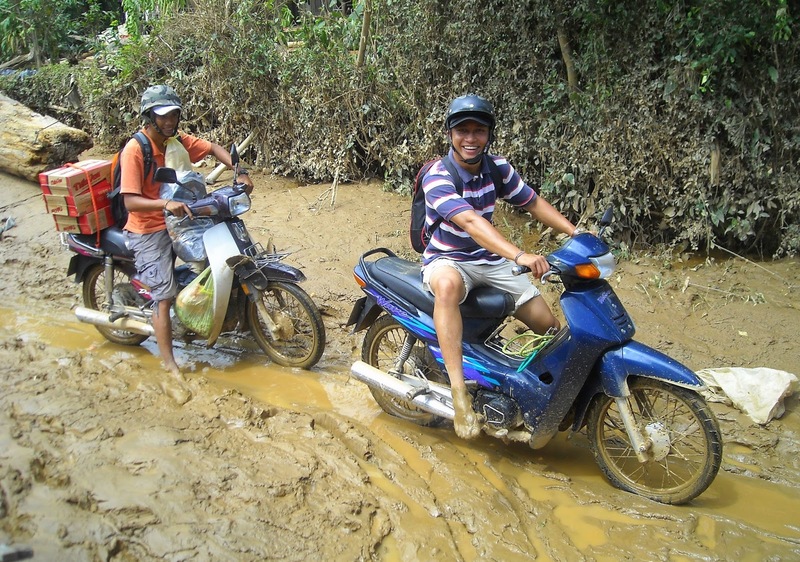 In the aftermath of the recent typhoon, for example, Steady Footsteps got relief supplies out to folks in flood-stricken areas of neighboring Quang Nam province as soon as the waters receded from the roadways and folks had climbed down out of their rafters. We got needed relief supplies to forty members of the Hoi An disabled group, for example, long before any other NGO or governmental agency was ready to offer assistance. The Locketts draw no salary from their work here and Steady Footsteps’ administrative costs are absolutely minimal. 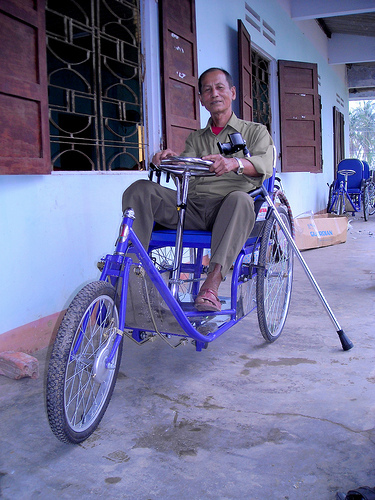 Any and all contributions go directly to assist disabled Vietnamese people.